TLC Creates Totally Unique Shows! 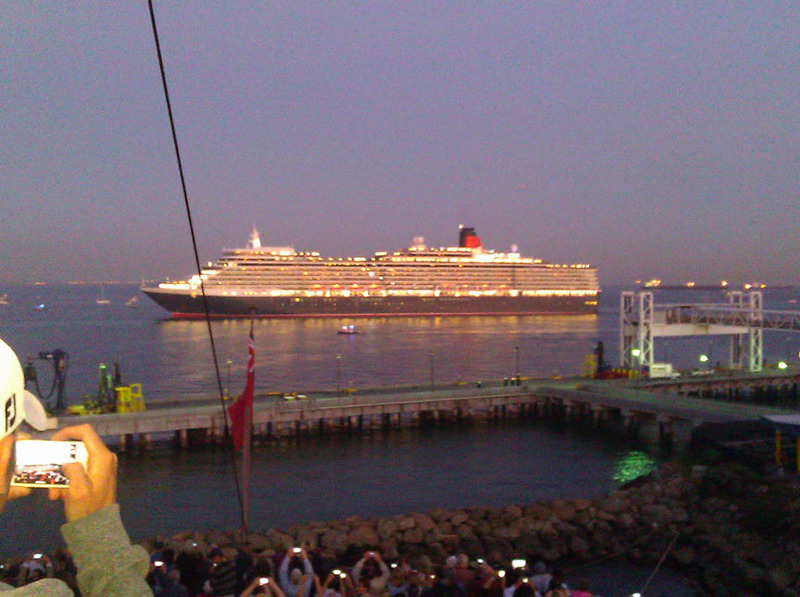 The huge Queen Elizabeth cruise liner came to Long Beach, CA to visit her sister; The Queen Mary, before she headed off for retirement, and TLC created a harbor-sized show to celebrate the occasion. Imagine creating a show to be experienced around a huge harbor (the city of Long Beach was invited to see the show), and focused on entertaining two audiences that were on the huge cruise ships themselves. TLC accepted the challenge and the event was a big success, energizing people in each area, and garnering media coverage for the ships owners. The highlight was a colorful fireworks show, programmed to a custom music medley, launched at the climax of the show, featuring large and medium sized fireworks and pyrotechnic effects launched from a breakwater, and huge and colorful bursts directly from the smoke stacks of the Queen Mary. TLC has created fireworks displays on The Queen Mary in previous events as well. 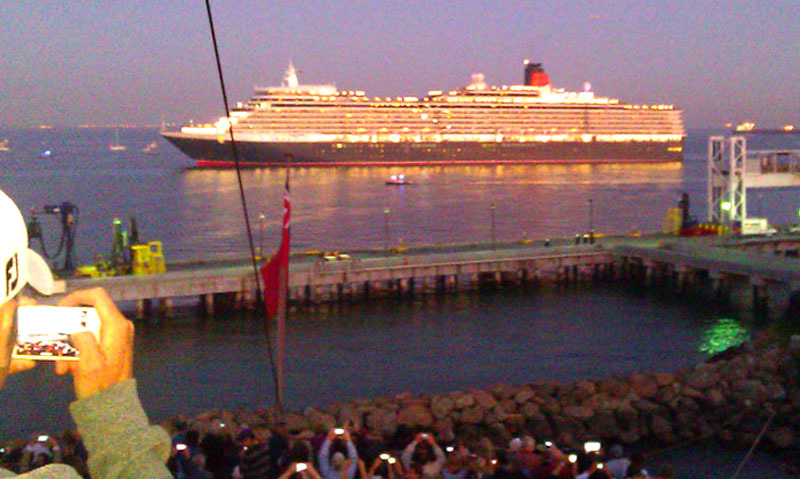 The centerpiece of the QE show was the actual movement of the Queen Elizabeth into Long Beach harbor on cue, and an amazing audio presentation featuring a ships captain on the QE relating historical and navigation triumphs of the two ships. As a salute; both of the ships HORNS blasted a hello and response at the start and finale of the show, as they actually greeted one another. TLC coordinated the special fireworks display for great pictures and the elaborate audio presentation that included the captain, music and the ships horns that entertained and celebrated the ships. The media coverage was well received and was seen on television across the US. TLC thinks out-of-the-box to create remarkable shows and effects. TLC is adept at unique challenges and knows how to channel the best energy to exceed audiences expectations, no matter what the situation. A simulated building demolition, a simulated aircraft landing, just a couple more examples of how TLC brings incredibly large experiences to life.